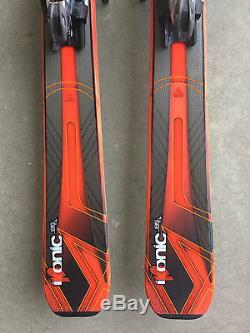 New 2017 K2 iKonic 85 Ti Skis 163cm with Marker's Bindings. 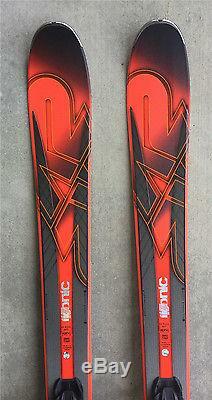 Style: All Mountain Size: 163cm Dimensions: 126-85-114 Bindings: Demo Marker MXC 12 TCX Din: 4-12. The widest and most stable of K2's acclaimed new iKonic series, the K2 iKonic 85 Ti Skis + MXC 12 Bindings are designed for the advanced to expert skier who lays it down hard on the groomed and doesn't take "no" for an answer. K2 throws the full gamut of tech goodies into this setup; Konic technology to keep the weight down while delivering all your power to the edges, Titanal metal laminate for silky smoothness, and Carbon Grid reinforcement in the tips and tails for even better response. Don't settle for second best, the iKonic 85 Ti delivers and you know you want it. Designed for all ability levels, All-Terrain Rocker adds versatility and ease in all snow conditions. This profile features an elevated tip for variable and soft snow performance, as well as camber underfoot for power, energy, and edge hold in firmer conditions. Lighter in the center for lower mass and nimbleness; denser around the perimeter for concentrated power and precision over the edges. Lightweight with a resilient, damp, easy-to-ski nature. Lively, flexible wood with excellent weight to strength ratio. K2's unique and patented Triaxial Braiding machine interlocks strands of fiberglass around a milled wood core, resulting in pronounce torsional strength while retaining the lively properties of wood. Built from the base up, a metal laminate construction consists of alternating layers of fiberglass and Titanal above and below the core. Metal Laminates provide damp, accurate, unshakable performance, ideal for expert and advanced level skiers. A carbon weave stretched over the forebody and tail provides added torsional rigidity where it's needed most. 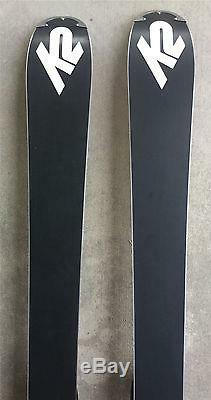 Increases the durability of K2 sidewall skis. A traditional sidewall construction produces a 90-degree angle where the top material and sidewall meet. The TwinTech construction rolls the top material into the sidewall, reducing the angle that is prone to abuse, minimizing ski-to-ski impact damage. The all-new K2/Marker MXC binding system is Marker's widest ski binding system, with a 54% wider attachment than the MX system. The system incorporates zinc feet that extend toward the ski edge for the most accurate power transfer, resulting in improved edge hold and control on wider-waisted skis. The binding stand height has also been reduced by 12%, resulting in a 10% weight savings. 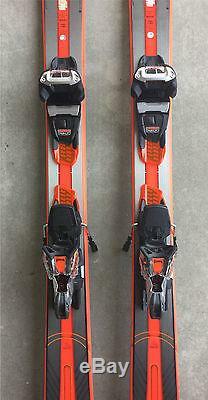 Includes Marker MXC 12 Demo Bindings. 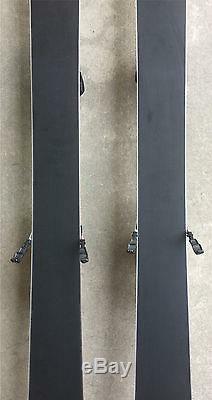 Bindings Do Not Come Mounted to Skis. Always have a certified binding technician mount and adjust your bindings. 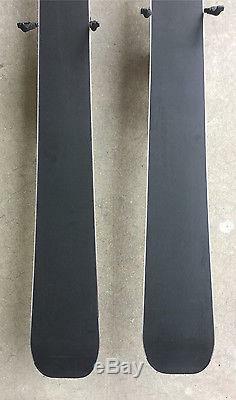 The skis and bindings are brand new. The item "New 2017 K2 iKonic 85 Ti Skis 163 cm with Marker Bindings" is in sale since Monday, May 22, 2017. This item is in the category "Sporting Goods\Winter Sports\Downhill Skiing\Skis". The seller is "idahomart" and is located in Meridian, Idaho. This item can be shipped to United States.